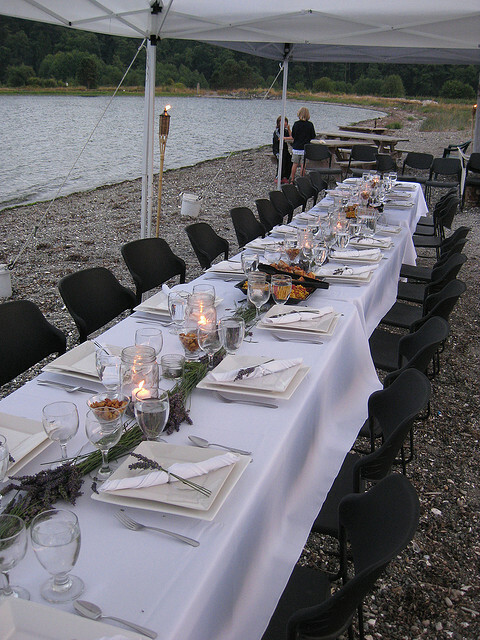 Event Catering – Begins at $80/hour (4 hour minimum), for 10-100 people. Private Dinners – Begin at 70/hour (3 hour minimum) for 1-10 people. This does not include the price of rentals like tables, chairs, chafing dishes, flatware, etc. Additional staffing, if necessary, is provided at $30/hour. Please inquire for additional information.